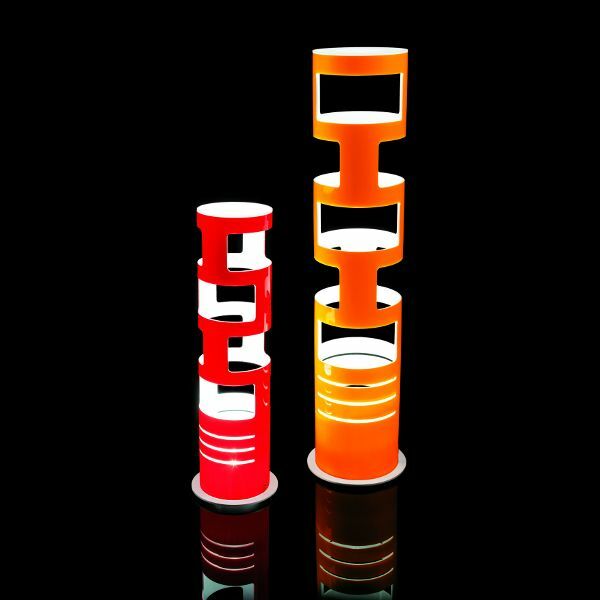 Product information "Sama Table light"
A light that attracts everyone's attention, is the Sama table lamp made by Kundalini. It is made of a two-tone coextruded excised acrylic glass diffuser and an inner reflector. Each screen is white inside and fitted with a white lacquered base. Dimensions S in inch (WxHxD): Ø3.93" x 15.75"
Dimensions M in inch (WxHxD): Ø4,92" x 23.62"
Related links to "Sama Table light"